G37driver is the most reputable and active source for Infiniti G37 enthusiasts. Featuring accurate technical information, a friendly and supportive forum environment, the latest Infiniti industry news, discounts on G37 parts and accessories, the web's most active Infiniti Classified ads, regional and national enthusiast events, and a true sense of community, it's no wonder there's always something to see at G37driver! For 2014, the 2013 model-year G37 sedan will continue to be available in the United States through model year 2015 alongside the all-new Infiniti Q50. 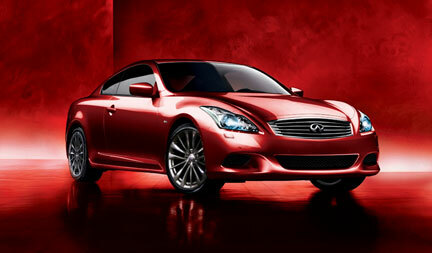 Two models of the Infiniti G37 Sedan will continue to be produced, the G37 Sedan Journey and G37 Sedan AWD. Only two options will be available, the Premium and Navigation Packages. The G37 Convertible Sport 6MT includes a unique front fascia/bumper design (also included with the G37 Convertible with Sport Package). The automatic top opening/closing sequence takes approximately 30 seconds from start to finish. The open/close switch is located on the center console, just behind the transmission shifter lever. For 2013, the G Convertible is offered in eight exterior colors: Vibrant Red, Malbec Black, Liquid Platinum, Graphite Shadow, Black Obsidian, Moonlight White, Pacific Sky and Lapis Blue.